The LM2C1117 is a dual channel ultra low-dropout voltage regulator capable of sourcing 0.6A per channel with low dropout voltage and operates from 2.5V to 5.5V input supply. The device is designed to have a fast transient response and is stable with 1µF low ESR capacitor. 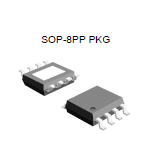 It is available in fixed output-voltage variants from 1.0V to 3.6V for each channel. The LM2C1117 features master and slave configuration. Channel 1 is the master channel and generates reference voltage. Channel 2 is the slave channel and uses reference voltage generated from channel 1. To operate channel 2, channel 1 must be turned on.